Hope Christian Church leads outreach programs throughout Port au Prince, Haiti. 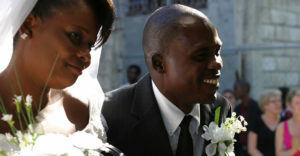 Hope Christian Church is located in the Tabarre neighborhood in Port au Prince. The church leads outreach programs that help provide for the physical and spiritual needs of the community. Other ministries that the church is a part of are House of Hope Orphanage, The George Shinn Foundation Medical Clinic, and The Pitch (a soccer outreach program). Carl and Carole Vorst are Harvester members who founded and currently direct the House of Hope ministries. 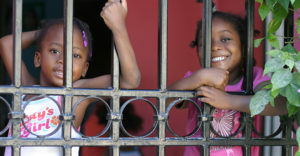 Sponsor a girl from the House of Hope in Port-au-Prince, Haiti. Your sponsorship will pay for food, clothing, medical attention, school tuition, books, hygiene supplies, uniforms, and lodging for the girls. 100% of your sponsorship goes to the child. The Reach Out program us for kids that attend Patti’s school in the House of Hope, but live in the surrounding community. Your sponsorship will pay for food, medical care when a medical team is at the House of Hope, and an educational opportunity.